Many parents are asking each other this week: What do I say to my children? We strive to raise them to embrace empathy and acceptance, and to reject name-calling and bullying. We teach them the importance of taking responsibility for their actions, being prepared in the classroom and the athletic venue, and using scientific methods, facts and reason in their intellectual pursuits. We teach our daughters, in particular, that they deserve respect, and that if they work hard and reach high, they will be successful. I’m grateful that my daughters had the privilege to graduate from T.C. 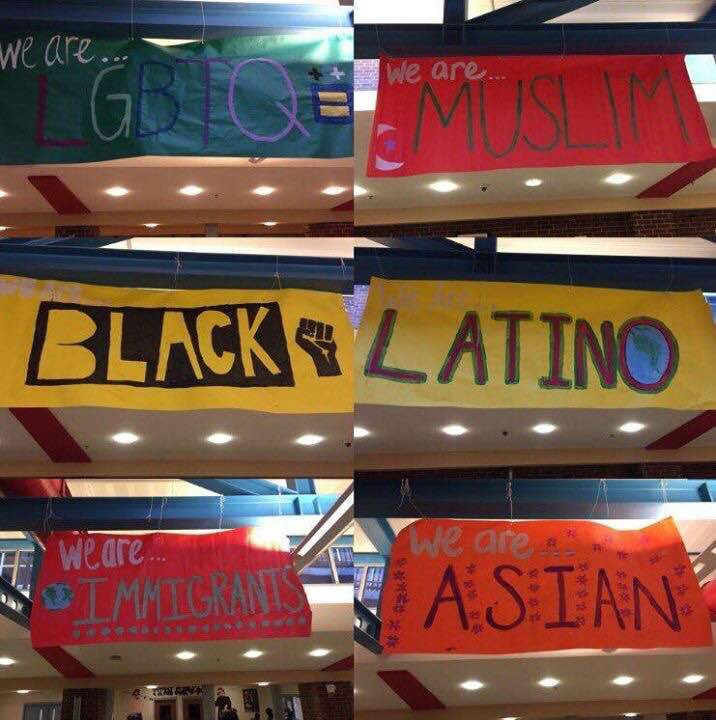 Williams High School and to spend 13 years in a school division that supports parents in instilling these values. There they had the rare opportunity to make friends from all over the world, some of whom now face a much more anxious and uncertain future. This is my attempt to answer the question posed above. Feel free to borrow excerpts or share with others if you find it helpful. I know you are hurting, but don’t despair. God is still with us, and God has given us a mind, a conscience and a voice to stand up for our family’s values and to speak out against hatred, bigotry, xenophobia, misogyny, and incivility. We can still work toward a society where people of all races, ethnicities, creeds and religions are valued, the poor have a safety net, the sick have health care, the threat of gun violence is reduced and everyone pays their fair share. L., remember the lovely and eloquent words that you spoke to your classmates at the T.C. commencement in June. They are even more relevant today. The sun will still shine, your sweet dog Sierra’s tail will still wag, and in the end, love will always trump hate. 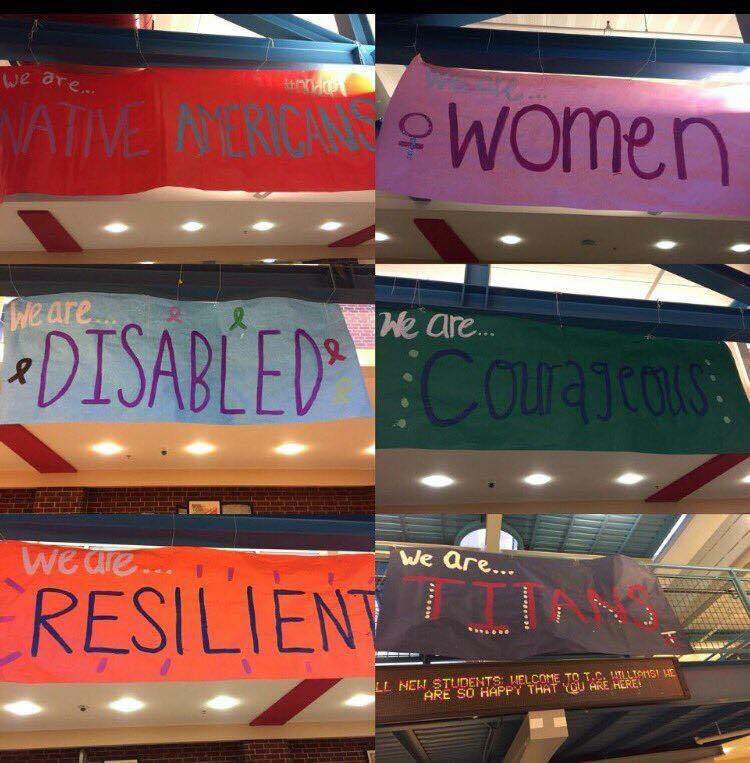 Photos: Banners made and hung by T.C. Williams students on November 9, 2016.